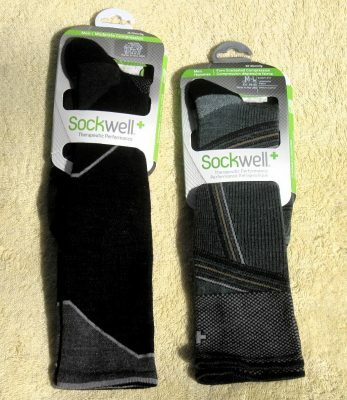 The men’s Ascend OTC and Summit OTC socks were provided by Sockwell for review. Since I had swelling in my legs when I received the Sockwell Men’s Therapeutic Performance Socks, I was eager to try them out. My swelling reduced after the first day and was not visible after 4 days. The Ascend and the Summit socks produced such similar results that I found it difficult to distinguish between them. Compression socks aid in increasing circulation and reduce the possibility of blood clots in the lower legs. I love the idea I can carry out those goals and still be comfortable. I have worn the socks for weekly Wednesday group hiking. They are warm and comfortable. This entry was posted in Reviews and tagged 4alloutdoors.org, Arnie P, ascend otc, increase circulation, outdoors, Sockwell men's therapeutic socks, summit otc. Bookmark the permalink.